The greatest loss in two months. 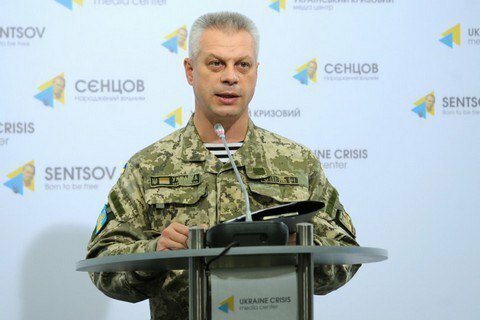 Over the past day, seven Ukrainian soldiers were killed and another 14 injured in the combat zone in Donbas, the press officer of the Presidential Administration on ATO Andriy Lysenko. He did not elaborate on the details of the incident. Earlier, the journalist Roman Bochkala, wrote that four Ukrainian soldiers were killed and three were wounded as a result of a direct hit on Monday night on the positions of the 53-th mechanized brigade between Zaitsevo and Mayorske. According to volunteer Yuriy Mysyahin, an armoured personnel vehicle with the military of the 93rd brigade trapped on a landmine. After the explosion, the military were attacked from ambush. The commander of the 9th company with callsign "Osa" and another fighter were killed. Seven is the largest number of casualties a day since May 23, when seven soldiers were also killed. The loss was considered the largest in 2016.